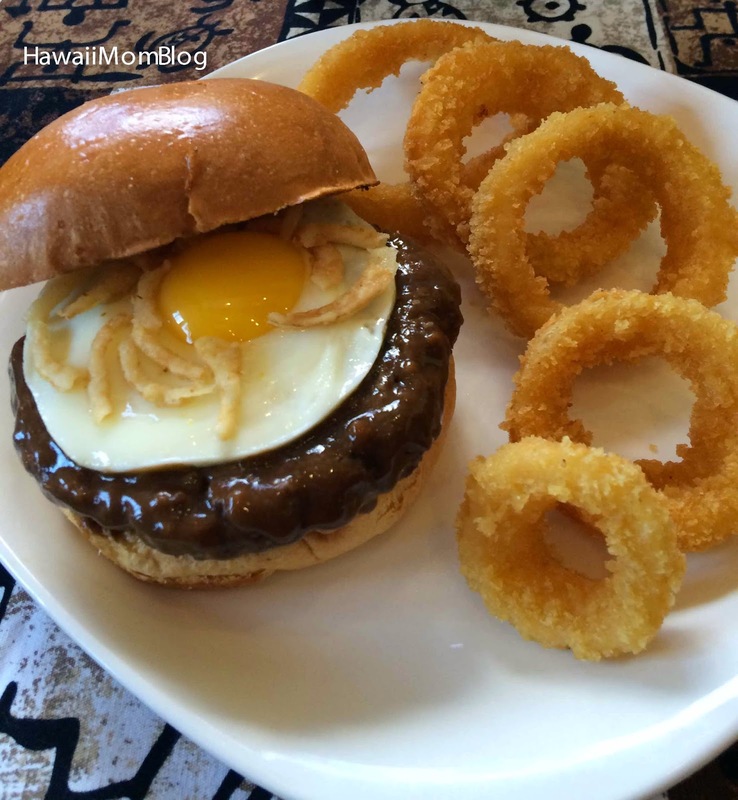 Having found great success in Waikiki at the Royal Hawaiian Center, Mahaloha Burger has a second location in Kailua. The official grand opening of the new location will be April 21. 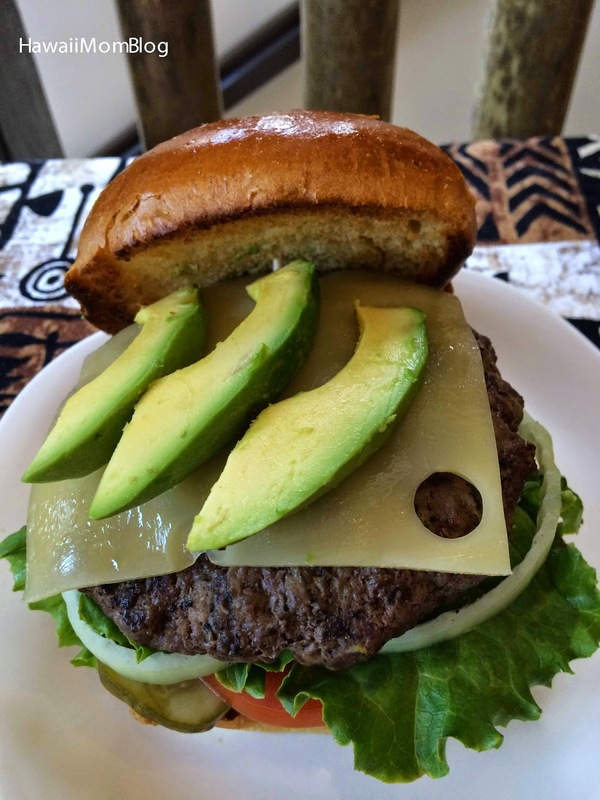 Mahaloha Burger uses 100% free-range premium home-grown beef from the Big Island, grilled buns with caramelized whipped butter, and fresh and locally sourced ingredients - like pineapple, avocado, and eggs - to create their huge burgers. Mahaloha Burger really caters to the customer. 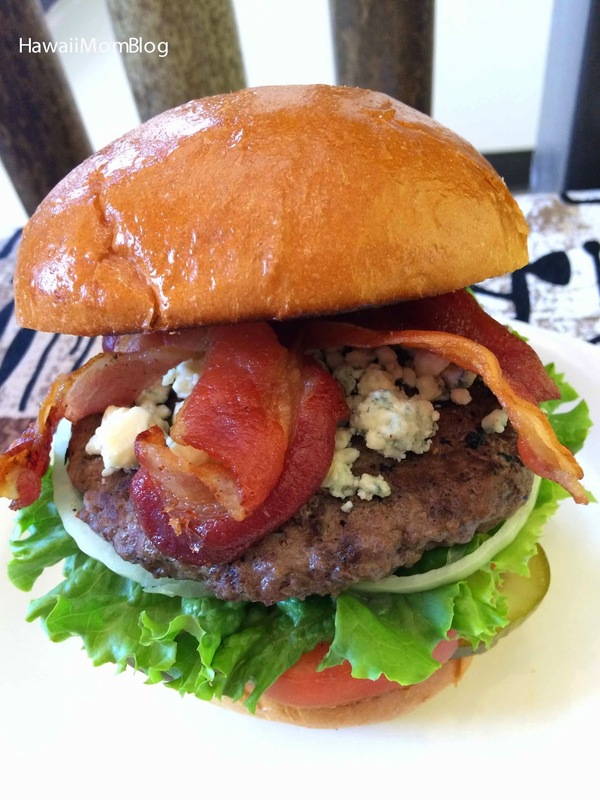 They offer substitutions like rice instead of the bun for those who wish to eat a "regular" Loco Moco, and low carb eaters can ask for a lettuce wrap of their favorite burger. Beef Burgers not your thing? 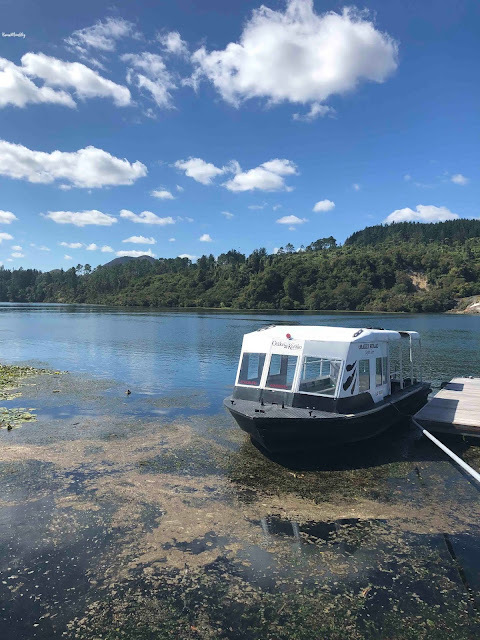 They also offer a Bacon Wrap Hot Dog, Mahi Mahi Burger, and a Gluten Free Organic Veggie Burger, along with delicious sides, such as Sweet Potato Fries, Onion Rings, and Parmesan Fries. 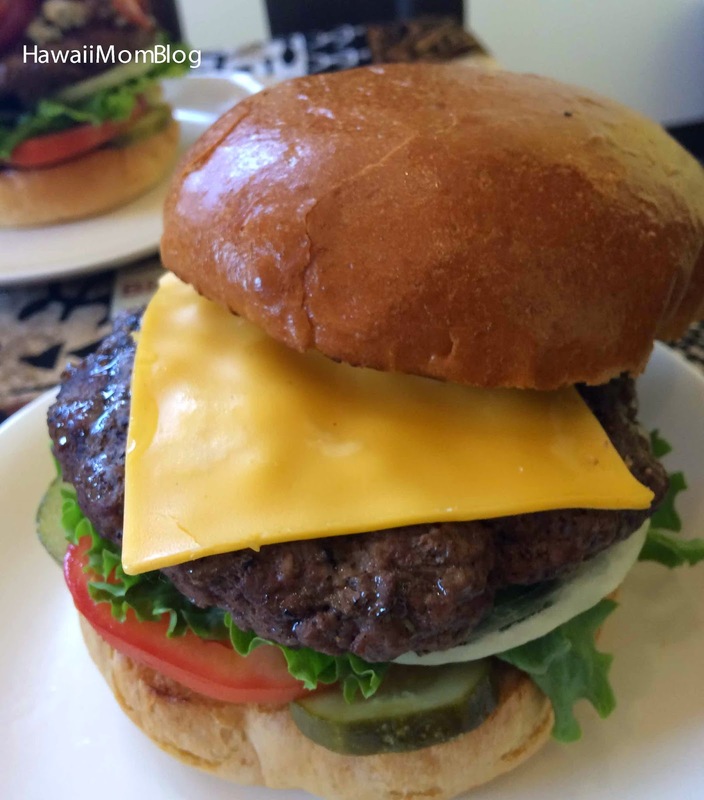 A Keiki menu (cheeseburger + tater tots or fries + drink) is also available for kids under 6. I was fortunate to attend a media preview of the new Kailua location, which offers both indoor (upstairs and downstairs) and outdoor seating to comfortably seat 30 people. I don't normally eat hot dogs, but after seeing the Bacon Wrap Hot Dog, I just couldn't resist, because, well - bacon!! 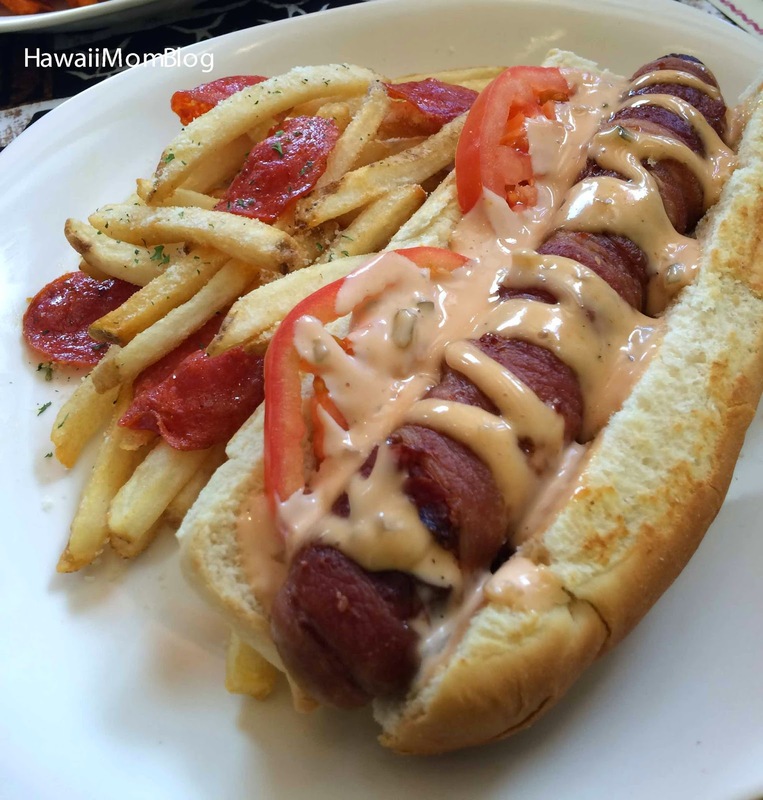 It was so super yummy, and I also loved the accompanying Onion Rings and Parmaroni Fries, which were the perfect accompaniment to the hot dog. You know what else goes great with a hot dog (or burger)? Beer! The Kailua location offers locally-made beer! 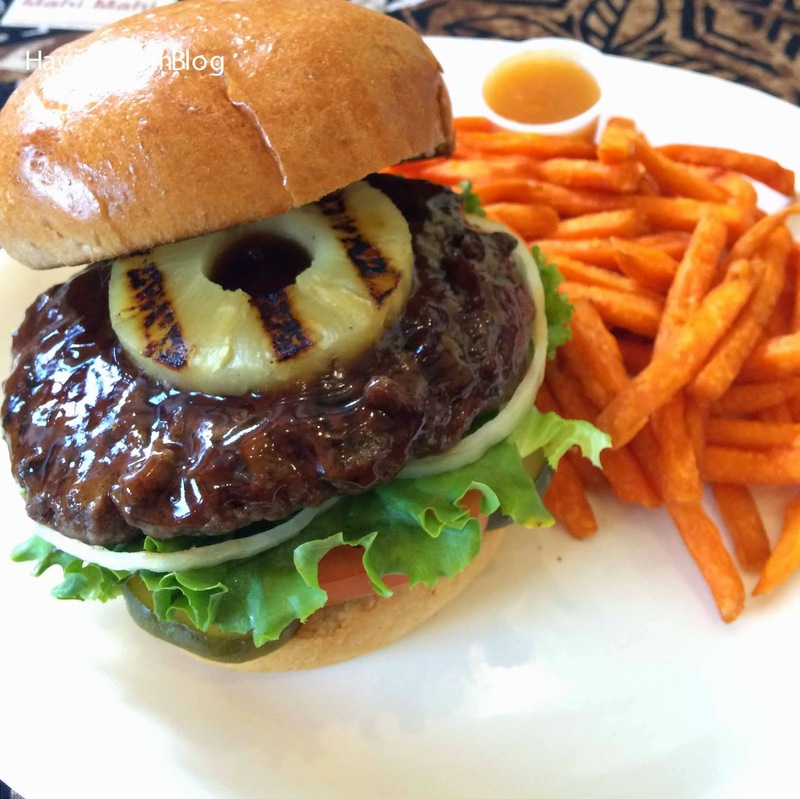 Mahaloha Burger will be open daily from 9am to 9pm, and on April 25 and 26 they will be offering a FREE order of French Fries with the purchase of any burger. 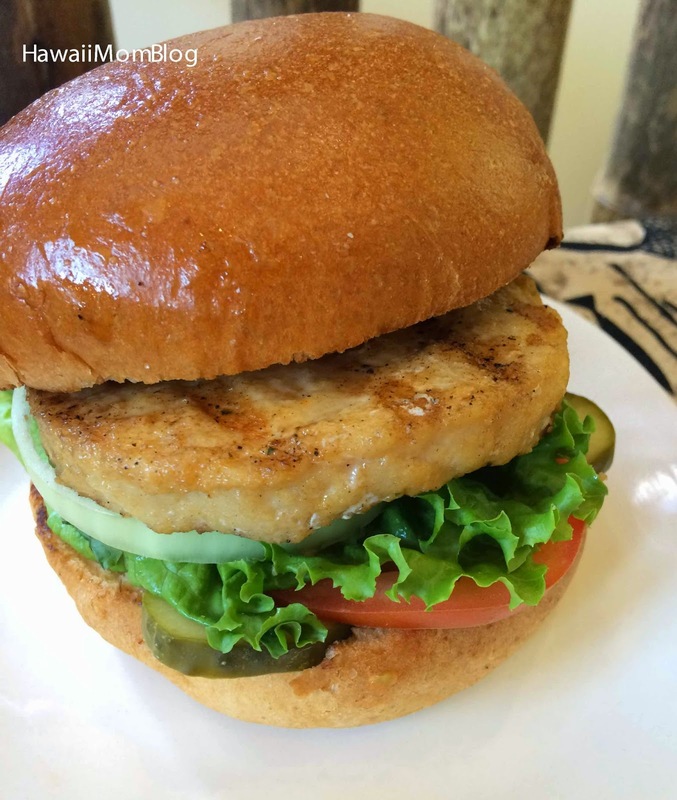 Visit the Mahaloha Burger website or follow then on Facebook and Twitter to get more information.